Hi I would like to request that you offer additional substrates that have a series of pre plated holes down the long sides and or the short sides (two different versions). 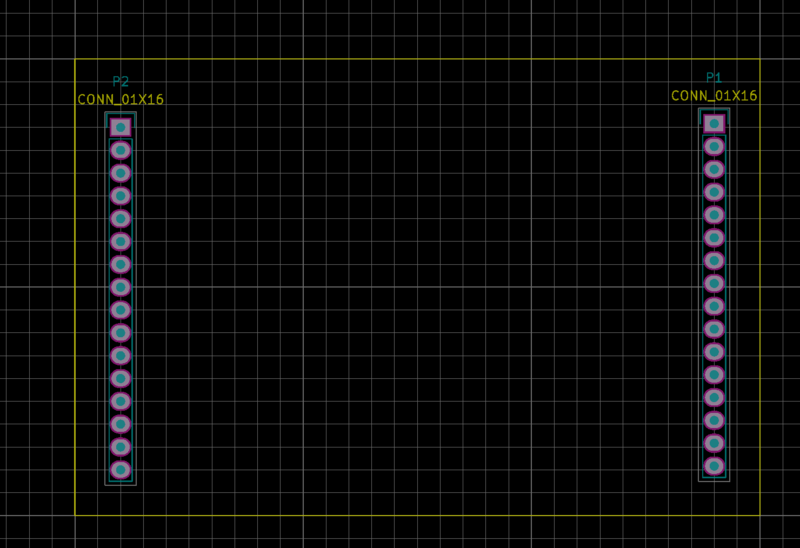 This will make it easier to make breakout boards with less drilling. Hi yes. I could order up some from iTead for example but I thought Voltera might want to make some and stock them. it's 10cm x 10cm and can break down into individual 5cm x5cm boards. Crud, I forgot to add the little stubs on each pre plated hole. Hmm might not be total waste as i used the oval pads for those holes. So when I go to design a circuit to use my home brew template board. 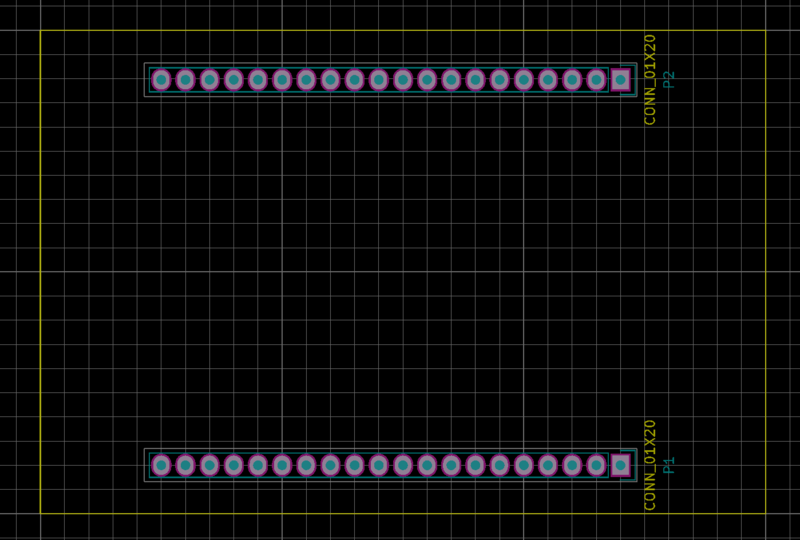 I guess i need to make a custom footprint that will align and meet/overlap the pre plated holes now? @a2retro you'll be fine! The provided template boards only have PTH's on them, so I'd assume that your approach of creating wider footprints and manual trace routing would be sufficient. How has your luck been with these? Glenn, does the Voltera print traces right up to the copper traces that come from the fab house (DirtyPCBs or whatever?) I'd like to do such hybrid (partly send out for correctly sized and predrilled substrates and the rest do in house) PCBs, but am afraid that the silver ink only binds to raw FR4 and not 1 oz copper typically used at a fab house. So in your example (see photo) then I guess you'll avoid reprinting the side drilled hole copper? 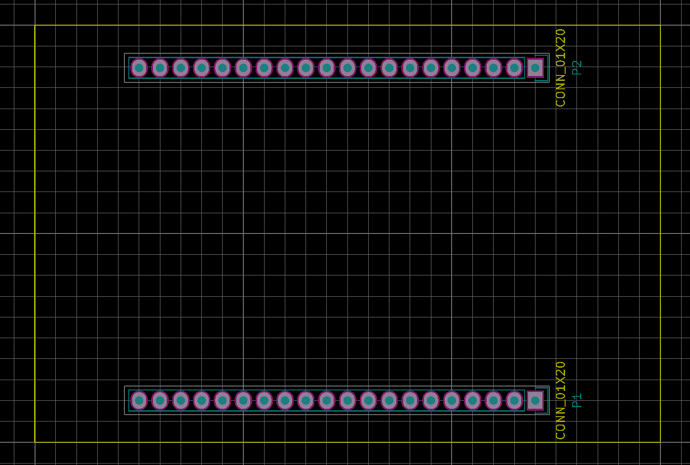 How did you do that in Kicad or Eagle? Or did you load the complete gerber and then selectively print on the Voltera software? Just to weigh in on one portion of your question - the silver ink will bind fine to copper, though I'd suggest cleaning the board first with some alcohol. The ink generally has very good adhesion with a variety of substrates, including FR4, glass, silicon, and Kapton. Great. That was the answer we were hoping to hear, thanks. Now I can order substrate from a variety of fab houses in just the right size (Tessel2 10 pin module for example) along with predrilled holes for plastic headers, knowing that a design I print will adhere to the copper plated/etched header holes. One option is to load the complete Gerber and selectively print as you suggest - the other is to load a copy of the Gerber into something like gerbv and delete the unwanted pads. What about more complex templates, like putting RJ45 or some similar connector on fab house printed templates? These would have more drill holes and copper traces. The question is when a half printed PCB comes from overseas manufacturing and goes on the Voltera One's plate, will the calibration (on both sides of the 'sea') be exact enough to avoid traces, vias, and drill holes being misaligned? I can imagine that manufacturers assume their prints are the final product, and don't control if their printers shrink or enlarge the design by 1%. Does anyone have enough experience with several fab houses to confirm or deny this? 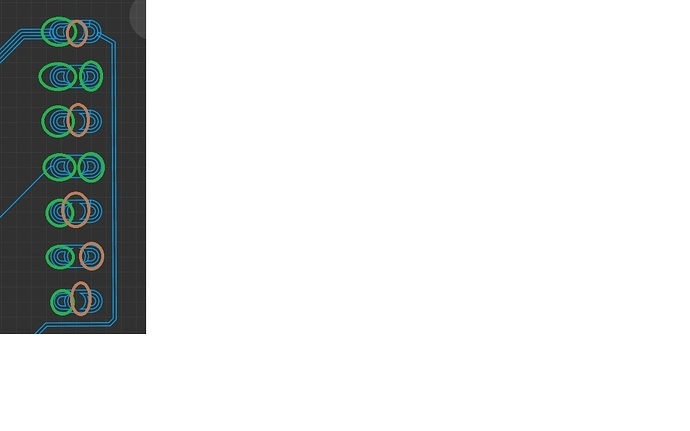 So I am running into an issue with my black template. I am trying to do an aligned print and getting some odd behavior. My templates pre-plated holes pads all align on the left side of the hole but alternately (every other one) are misaligned on the right side of the hole. So the probe ends up dipping into the hole. One possibility could be a slight misalignment in the Pad Alignment step. The V-One probes pretty close to the drills in the pads, so if the design is slightly shifted left or right the probe could fall in. We're currently working on a fix for this issue which will allow for much more robust handling of misalignment and pads with holes, and we will make sure to post here when the update goes out. For now, I'd recommend re-aligning, then checking suspicious pads in the 'Confirm Pad Location' step before probing. If you find that the V-One is falling in the holes, the next course of action would be to either oversize the drill holes in your design, or to remove the majority of the pre-plated pads from the gerber (except those that you definitely need to print or for alignment). Hi Matt, thanks for the quick reply. The thing is this is a repeatable pattern so I think something else is afoot. I haven't taken things any farther then "Confirm Pad Location" as I noticed the issue before an attempted print.